Can reducing your carbon footprint make any difference when you’re carbon capped? My friend is fixing up her kitchen on a budget. She’s a think-global-act-local type. She’s concerned about climate change. She’s willing to go green and spend money on more efficient electric appliances versus beautiful countertops or a gourmand espresso machine. But she’s living in Europe under a carbon cap. She wants to know: Can her efforts to shrink her kitchen’s carbon footprint have any impact if regulators have already put a cap on total GHG emissions? The UK taxes carbon dioxide emissions from electricity producers already covered by the EU ETS. The University of California has a carbon neutrality goal and is making investments to reduce emissions at sources already covered by California’s cap. Facebook’s California HQ will now purchase all electricity from renewable sources to reduce the company’s carbon footprint. Of course, there are lots of motivations running around behind these examples. UC sees value in demonstrating to the world how de-carbonization is possible. Facebook is hoping you’ll consider their act of eco-benevolence before you #deletefacebook. But can these under-the-cap efforts have any direct impact on GHG emissions levels? In the wake of carbon market reforms, the answer is a complicated yes. At some level, this is the proverbial drop-in-the-ocean question. Individual efforts to tackle massive problems are always going to feel inconsequential. But in some cases, we can channel our inner Mother Teresa and take heart that the collective sum of individual actions adds up to a wave of impact. In this case, however, there’s a less-inspiring water-based metaphor that’s been used to describe the futility of individual climate action under a GHG emissions cap. Reducing your under-the-cap emissions is like jumping on a waterbed: Whatever emissions reductions you achieve locally just pop up somewhere else because the total quantity is fixed. Baseline emissions we’d expect to see without a permit market or a carbon price. An abatement cost curve that summarizes what it costs to reduce emissions below baseline. An emissions cap which determines the level of permitted GHGs in a cap-and-trade program. The picture below fits these pieces together in a GHG emissions permit market (ignore the green stuff for now…). The red CAP defines the level of emissions and the supply of tradable emissions permits. The permit price that clears the market (where the cap crosses the curve) equals the cost of the last unit of abatement needed to meet the cap. Now suppose that some climate-concerned types are motivated to reduce their under-the-cap emissions for conscientious eco-reasons. My friend sacrifices her coffee quality for an efficient refrigerator. Lucas’s neighbor puts solar panels on his roof. Baseline emissions -and the entire abatement cost curve – shifts left because we need less market-induced abatement to hit the cap. The permit price falls to where the cap crosses the green line. But the total level of emissions –the cap- is unchanged. Proof of the waterbed effect. Note that if policymakers set the carbon price (with a carbon tax) instead of setting a carbon cap, there’s no waterbed to worry about. Real-world carbon markets, however, are far more complicated than my picture. And once we account for these real-world complications, the waterbed theory starts leaking. For one thing, climate change is a long-term problem. Policy makers will adjust the emissions cap over time. If voluntary actions help keep permit prices low and permit markets flush, it’s more likely that the cap will be more stringent next round. In other words, if investing in an eco-fridge helps push permit prices down, this could affect GHG emissions in some tiny, indirect, long run way. And these little actions can add up. If you’re not feeling the green glow just yet, there’s a more direct cause-and-effect channel that’s opening up. In the U.S. and Europe, carbon markets are experimenting with stability reserves and cost containment mechanisms. The details are wonky. But the upshot is that emissions permits can be withdrawn or added depending on the level of demand for permits. Let’s start with floor prices (or similar mechanisms) that are now (or will soon be) built into markets in California, RGGI, the EU ETS. In the graph below, I add a floor to our permit market picture. To support this floor, policymakers need to take permits out of the market to keep the price from falling below the floor. Now the green do-gooders can reduce the total quantity of permits (by the green squiggle in my picture below) if the permit market settles at the floor (a likely scenario in California). If your voluntary abatement reduces permit demand, this increases the number of permits taken out of the market. But wait. Does this mean that climate crusaders have succeeded in reducing aggregate emissions? That depends on whether the permits held out of the market in reserve ultimately find their way back into the market. The European and RGGI markets have all adopted rules that permanently eliminate excess permit reserves at some future date. Mark your calendars for 2021 (2023 in Europe). In California, what happens to withheld permits is still up for debate. And what if demand for permits is high? Cost containment measures increase the supply of permitted emissions in the market if permit prices climb too high. For example, California has committed supplying whatever quantity of permits the market demands at the price ceiling, even if it means increasing the cap. In this high price scenario, voluntary abatement can reduce the number of permits released into the market (and possibly total emissions, depending on where these extra permits come from). I get it that most people will not want to think this hard about the direct consequences of their well-intentioned green actions. And that’s fine. If you think reducing your under-the-cap carbon footprint can have some impact, you’re likely right. But if you’re still reading this blog post, you’re not most people. And you might be interested in a paper published last week by Grischa Perino who picks his way through the complex EU ETS rules to estimate how a one-ton reduction under the EU cap ultimately affects the stringency of the EU cap. By Perino’s calculations, with every CO2 ton my friend eliminates with her super-efficient fridge, she’ll reduce permitted emissions by 0.4 to 0.8 tons today (although this rate is declining over time). 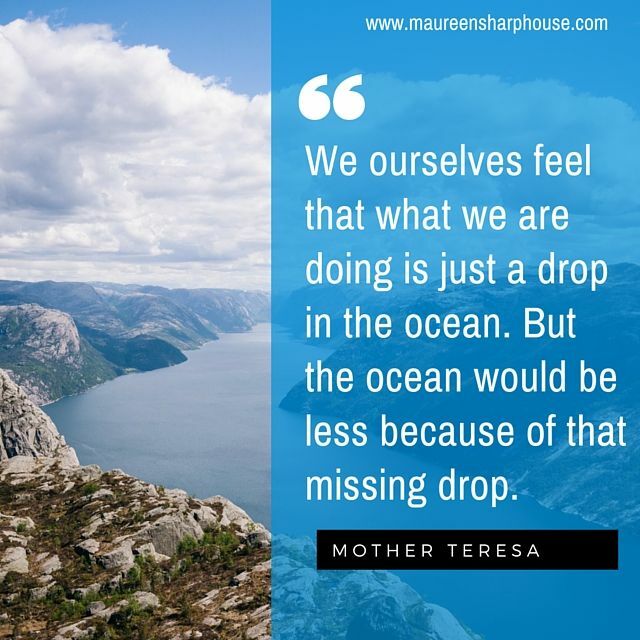 In other words, direct impacts may be Mother Teresa’s drop in the ocean of GHG abatement, but they are more than a waterbed zero. Previous Previous post: Does CAFE Work? Interesting analysis. But two mechanisms are left out. Footprint consciousness lowers the demand and the price of petrochemicals. Since all economies do not internalize the MDC of pollution, some will increase consumption, although probably not by the full waterbed amount. However, increasing anti-carbon sentiment adds to the tendency of an increasing (explicit or implicit) carbon tax, thereby exacerbating the green paradox. Set-aside mechanisms for voluntary programs also play a role in ensuring that voluntary actions are not offset elsewhere. Excellent post and a great explanation, especially for a non-economist who’s only had enough econ to understand the great & colorful graphs. The question posed was about direct GHG impacts, which are clearly crucial. But it also makes me wonder about the indirect impact of how individual “green” consumer choices might help build and maintain support for sound policies. As the post notes, one aspect of that dynamic can be price mediated as individual actions (like efficiency regulations) shift the demand curve, lowering the permit price and building a case for additional tightening of the cap. My hunch is that there may also be a cultural or psychological benefit that operates through non-price mechanisms. Perhaps personal feelings of empowerment, tied to believing that individual actions can make a difference in a big problem, can also foster political empowerment to support the policies needed to achieve broader collective action.